There’s no better gift than one you create yourself! Furthermore, there’s nothing like memories to make a loved on smile. That’s why our custom photo books would make such a great gift for Dad this Father’s Day! Select from various styles and dozens of page templates to showcase Dad’s favorite moments. From camping trips and family vacations to snapshots from your phone, you can create a picture-perfect gift that is sure to bring a smile to his face. At MailPix, creating your photo book is easy. Just upload your photos to get started and then pick out which book you want to personalize before creating the layout for each page! 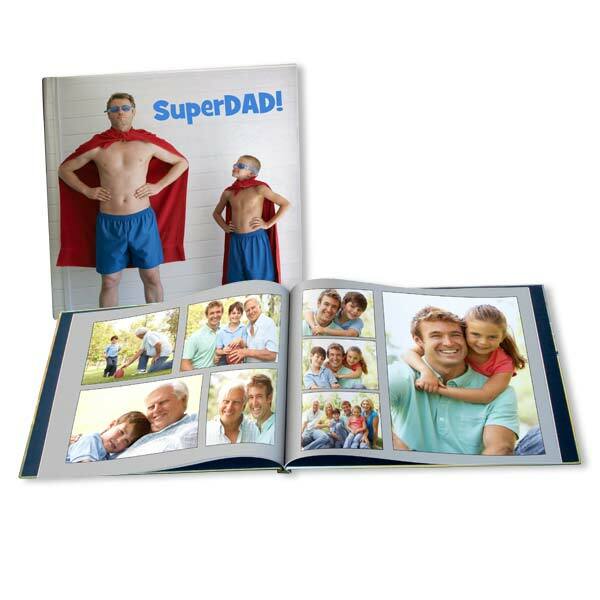 In addition to photo books, we have a wide range of unique gifts for Dad! Create a personalized photo mug, a custom printed canvas, or make photo t shirt that brings his favorite photographic moment to life. Then, complete your gift with a personalized Fathers Day card! When it comes to making Dad’s day, MailPix’s got your back!